Most people practice yoga for improved health benefits so it’s important that the yoga accessories they use support this goal. Many yoga mats contain PVC (polyvinyl chloride) that can be harmful to the respiratory system, liver and central nervous system. In addition, most yoga mats contain phthalates to prevent them from slipping. These chemicals, which can cause cancer, can leach out of the yoga mat during use. If you’re wondering what jute is, it is also known as burlap or hessian, a sustainable plant grown in India. 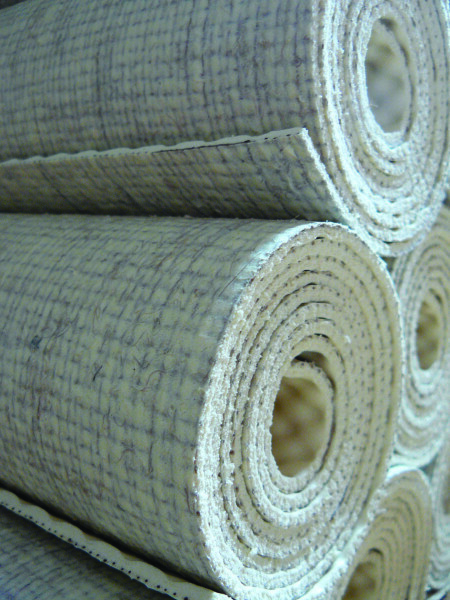 Jute has antimicrobial properties for particularly sweaty yoga classes. I was very interested to learn why The Original ecoYoga Mat, which retails for $89.50/$96.50 in Canada, is produced in the U.K. as opposed to China or Taiwan, which would result in a more affordable mat. The company advises that there are no Fair Trade standards in the jute industries in China and Taiwan. The jute supplied for The Original ecoYoga Mat is supplied by a Scottish company with long-time ties with the jute producers in India. The Original ecoYoga Mat comes in five colours including Natural, Deep Lavender, Lichen Green, Coral Red and Ash Grey and is available in two sizes: 72″ ($89.50) and 84″ ($96.50). I received a complimentary ecoYoga Mat in Coral Red to complete this review. The first thing I noticed when I removed The Original ecoYoga Mat from the wrapping was that there was no rubber smell. The next thing I noticed was the gorgeous colour of the Coral Red yoga mat and the beautiful weave. I also liked that the 72″ mat was longer than comparable yoga mats, which is great for the Warrior poses or Downward Facing Dog where you are stretched out along the mat. I placed The Original ecoYoga Mat on my hardwood floor and practiced several yoga poses including standing and sitting poses using the yoga mat. The ecoYoga Mat had great traction and did not slip on my floor. [ECOYOGA Canada does advise that if your ecoYoga Mat gets dusty, it will lose its grip so it’s important to either machine wash the mat and hang to dry or clean the mat in a shower and roll the mat within a towel to remove excess water.] The thickness of The Original ecoYoga Mat is 4 mm, which gives you enough cushioning without losing connection with the ground. I’m impressed with The Original ecoYoga Mat for several reasons: it contains no PVC; it comes in gorgeous colours; the length of the mat ensures you will have enough space for your yoga practice; and ecoYoga mat is not made in countries that have no Fair Trade standards for their jute industries. You can purchase The Original ecoYoga Mat at the Toronto Yoga Conference and Show (visit ecoYoga Canada at Booth #1210) or at ecoYoga Canada. 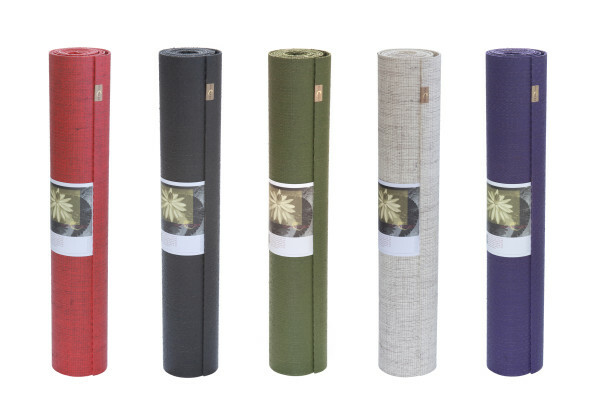 Enter Our Giveaway to Win The Original ecoYoga Mat, $89.50. Open to Canadian residents, 19+. Disclosure: I received a complimentary The Original ecoYoga Mat in order to complete my review. I have just signed up for a yoga class. My doctor thinks it would be great for my ongoing back problems to increase my flexibility. I do both yoga and pilates at our community center. Love it. Although I’m not very flexible, I think I am improving. And I love the feeling after completing each and every class. Yes I do yoga with my daughter and friends and I enjoy it very much!! Yes I do practice yoga. and enjoy it every time we go.I think this mat would be a blessing to have. I like to start my days with yoga. It’s good for the coldest before we start school! I am just starting to get into yoga to get back into shape after a cancer battle. Yes I have been practicing for quite a few years. Love how it releases tension, is great for strengthening and stretching and can be done almost anywhere with a good mat. I recently restarted yoga after surgery. I’m actually a beginner and I’m learning SO much! I’d love to win this mat ???? Yes I do practise yoga and loving it. I would like to start! Yoga is improving my flexability. I love yoga. I have not been in a few months but I need to get back. I really find it beneficial. I practice yoga with my two kiddos. Having the littlest one climb on me makes for some fun poses. Yes I have been doing yoga for over 30 years. Yoga has always helped me mentally and physically. Nothing is better for you in this stressful world. 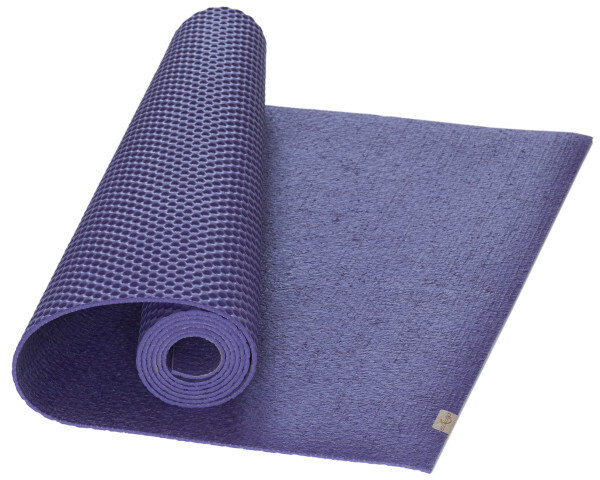 Love the colours this mat is available in: the lavender mat looks so welcoming and soothing! This looks like a really high quality yoga mat, with great colour options. Would love to own one of these! I used to and would love to get back into it. I have always done yoga…Love it. I have not yet practiced yoga, but after my baby is born I am very interested in trying it. Yes I do 3x a week practicing hot yoga. 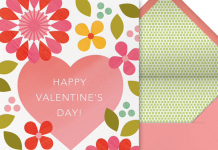 Thank you for the chance – I really love to replace my current mat. I do some yoga moves as part of my exercises. Ì have only been to one yoga class in my life. Not yet but I am planning on starting. I do not do yoga but admire those who do! Yes, I practice yoga and love it. I would like to learn yoga because it does not involve impact. I just started yoga not too long ago. No I don’t do yoga but my daughter learned yoga techniques in phys-ed class last month & has taken a real interest in it! Would love to give this to her. i used to do it a lot, ive been meaning to start it up again though! No I don’t, but would like to start. Yes, I do practice yoga and I love it. Yes, on and off for years. I’m trying to get back into yoga. I have just started with the stretching. Love yoga and a beautiful mat lile this would reinvigorate my practice! Yes, I do a bit of yoga. I did try yoga at one time, but because I am overweight I found it hard to do. I just started to learn how to do yoga. I really like it, and want to practise yoga more. I have practiced yoga sporadically but just recently signed up for a few seasons. I practice yoga on and off. I practice yoga sporadically but really should get back into it for all it’s benefits. I enjoy practicing yoga daily. I do practice yoga, and I would love to try this mat! I have practised since 2008; I love yoga! I do practice yoga, I’m slightly out of practice right now and I feel stiff though. I need to get my routine in order. I’m slightly slacking. Have to get back in the routine. Yes I love my morning yoga sessions but I’ve had to modify a little since I’m expecting twins! Yes, I do yoga. My company offers yoga classes during lunch and before/after work to help reduce stress and I wholeheartedly participate in this perk. Thanks! I don’t, but I intend to start soon. I do not but I would like to!! I practice yoga on my own. Not in a studio, but I do practice it at home 2-3x a week. I have done yoga off and on for a few years, but Ive never had my own mat and would most likely do it more if I did. Yes i do yoga but i have a very uncomfortable mat. yes, i do and i like it! I do yoga as a way to stretch and relax, both in the mornings when I find the time, and in the evenings, before I get ready for bed. It’s so beneficial, even if it isn’t always on schedule! Recently started yoga and pilates… so far, so good! Yes I do! I practice Hot Yoga! I will be starting yoga soon. My friend does it and she’s convinced me to join. No but this mat will provide the incentive to start. I do some yoga but prefer Pilates! Ive looked into yoga for many stress relief symptoms and wish to do alot more of it. ty gle1! 3 days a week during lunch at work! I want to introduce my husband to yoga and need a descent mat to start him. Not as much as I would like. I do practice Pilate weekly though and need a mat for that as well. I participate in Yoga when I have time off work as my favourite class at my gym is only during the day. Yes, regular yoga and hot yoga as well, regularly. Occasionally. I hope to join a class one day with a proper instructor instead of just trying it on my own. 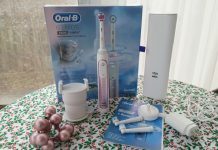 I have tried it a couple of times and really enjoyed it. I would like to try to fit it in to my routine more often. Yes, although I go through periods where I’m more involved and less involved. I’ve been doing yoga for some time now & I love it! I haven’t started practicing yoga yet, I keep meaning to start, having my own mat would help. I love doing yoga while watching TV. I love yoga and have been practicing for years! These mats sound great, even compostable! Yoga is the only way to go… to find an exercise calming, spiritual and strengthen is amazing!